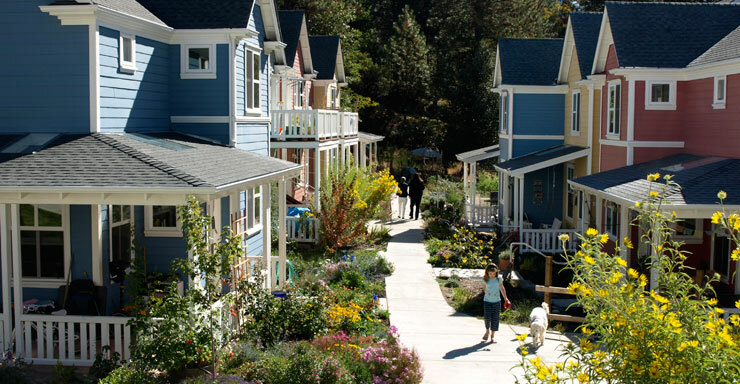 "A pocket neighborhood is a type of planned community that consists of a grouping of smaller residences, often around a courtyard or common garden, designed to promote a close knit sense of community and neighborliness with an increased level of contact." Home Builder Network. Builder, September 2005. Harvest Village will be Napa’s first Net-Zero Energy Pocket Neighborhood. Our goal is to take a “pocket neighborhood” and turn it in to a “Thriving Community”. 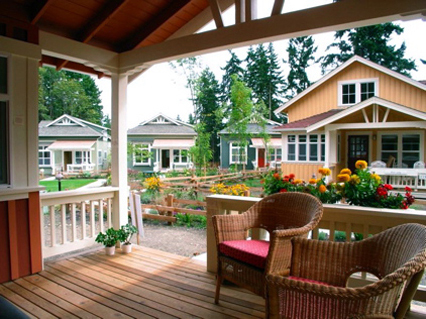 We do so by making the homes at Harvest Village extremely green, sustainable, and healthy. 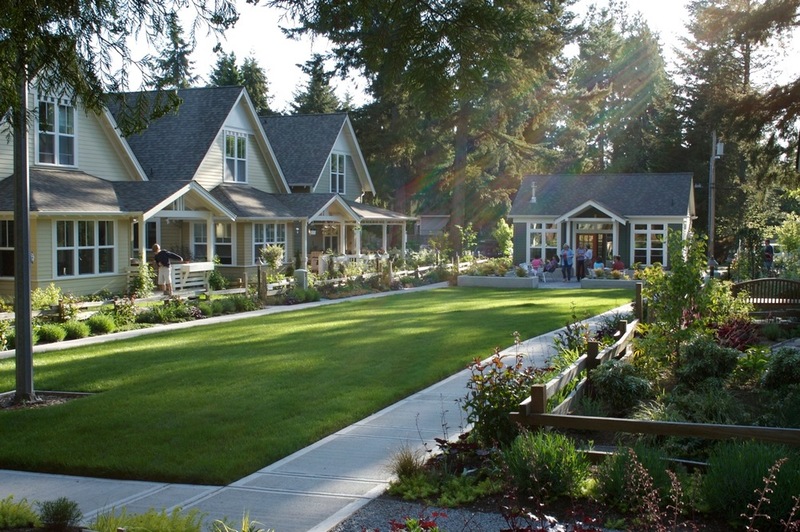 We believe that a healthy community is essential to the creation of a happy home. Harvest Village will be a place where people love to live. Our project will be certified as either LEED Gold or Platinum. 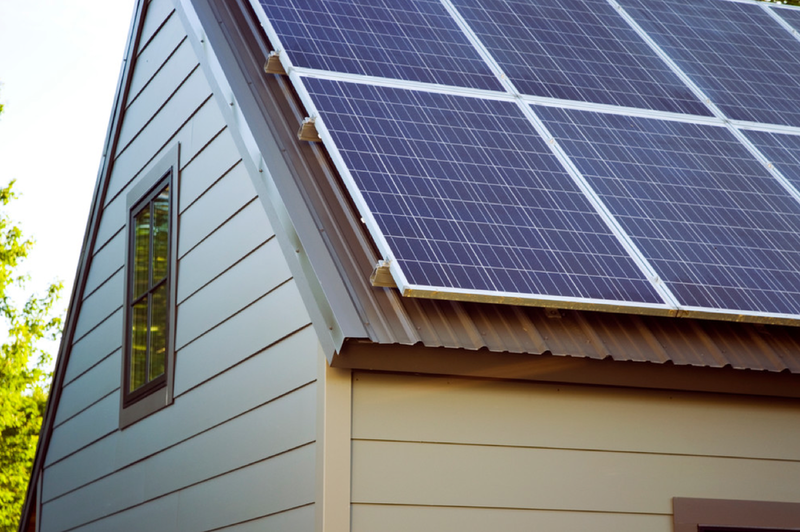 Through the use of solar panels our homes plan to have no utility bills, with the possibility of generating excess power. Also, these panels will serve as the energy source to heat your water. We have designed these homes to consume very little water. This is achieved by use of grey water systems and water efficient appliances. We want your families to walk in to a healthy environment that will last for a lifetime. The materials we use are non-toxic and highly durable. 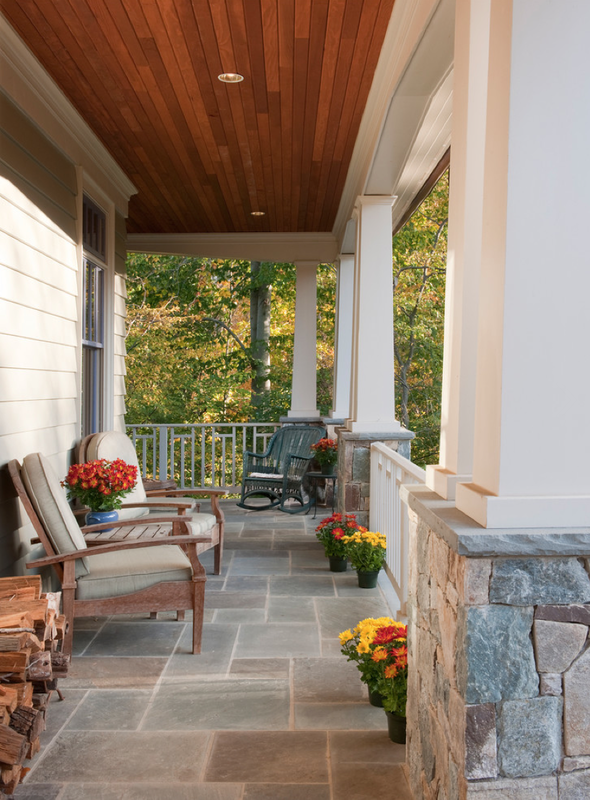 Homeowners will be happier knowing that their home is healthy and requires low maintenance. More than just a new housing project. Harvest Village provides more than housing – it's a neighborhood, and this thriving community comes with built-in opportunites to conserve our resources and protect our planet. Our periodic table of sustainable elements are the backbone of our design. We believe our designs should better the lives of people and improve the environment. Harvest Village offers greywater reuse systems to reduce demand on conventional water supplies and pressure on sewage treatment systems. Greywater includes used water from showers and laundry. Greywater is available year round and can provide water for landscaping even during drought times. Each home is designed for solar panels. We value our natural resources and eliminating the need for natural gas by relying on solar electricity will turn this neighborhood into a net zero energy community. Looking out your kitchen window should be an experience of comfort rather than solely for security. Our homes face a central green space to promote neighbor connectivity and increase communication. Homeowners enter their home through their private garage. Keeping solitude nicely located out your front door. Have you ever felt a draft in your home? We build the envelope of your home so efficient that your warm air in the winter and the cool air in the summer stays inside. As a result, the electricity demand for the HVAC system is less and ultimately keeps your hard earned dollars in your pocket. Each interior is free of formaldehyde producing materials. Healthy indoor air quality is important to our mission. Each home is designed with surfaces that are elegant and easily cleaned. The homes have windows that open to let in fresh air and HVAC filtration systems that help clean the air in your home. 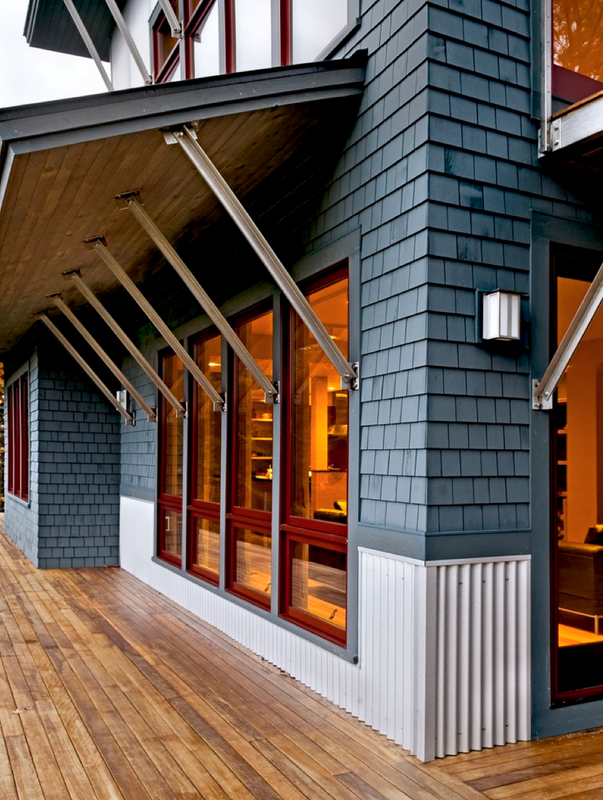 A New Pocket Neighborhood in Napa. At Harvest Village, we believe a thriving community is one that starts with our neighborhoods - people gathering together. Since garages are located in the rear - off a private road - there is no interruption by vehicle traffic between homes - this is a neighborhood without barriers of streets or cars giving the residents opportunity to create a warm, close community. 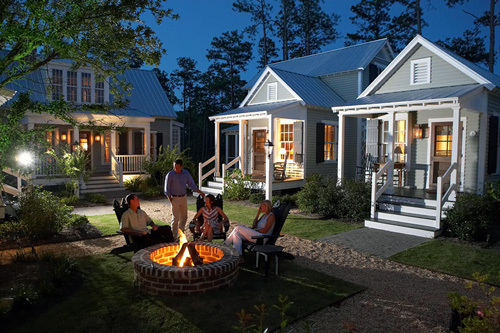 Harvest Village are homes intentionally designed to foster community.